Tiffany's Online Finds and Deals: GIVEAWAY! Enter to WIN! 3-Piece Drinking Cup Set for Kids GLEAM GIVEAWAY ENDS 2/2! GIVEAWAY! Enter to WIN! 3-Piece Drinking Cup Set for Kids GLEAM GIVEAWAY ENDS 2/2! 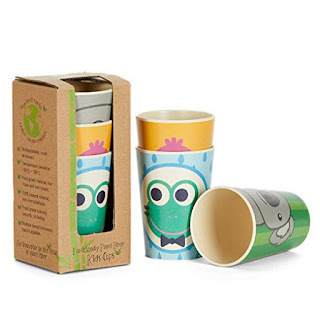 I'm Giving away a set of these cute kids cups to one lucky winner! WHAT YOU NEED: Is your little one starting to become more independent in terms of drinking? Is it high time you let go of the impractical baby bottles? The Coocootsa cup set is a funny and entertaining way of achieving this! 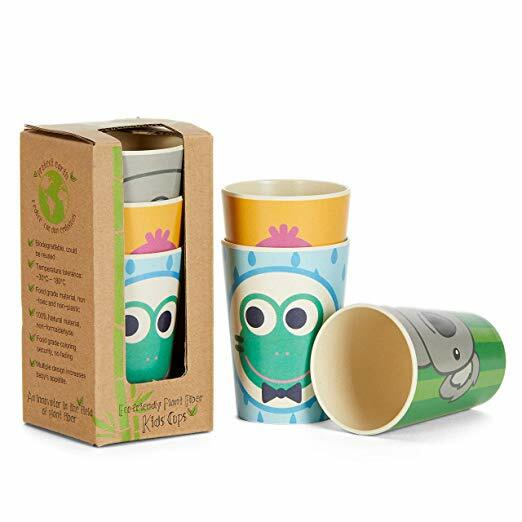 PREMIUM QUALITY MATERIAL: This lovely drinking cup set is made from superior quality, 100% food-grade materials, a special blend of eco-friendly bamboo fiber which is non-toxic, has no plastic and is perfectly safe for the babies! PRACTICAL DESIGN: These toddler cups come in 3-piece sets and are extremely practical, being microwave, freezer and dishwasher safe for your own convenience! You’ll save up on your time and energy while teaching him or her how to properly drink! FUNNY& COLORFUL: With intense, all-around colors and funny animal printings, including a koala, a birdie and a frog, these adorable baby cups will definitely keep the babies and toddlers interested, stimulate their appetite, providing an effective learning method as well! BABY SHOWER GIFT: Order this adorable cup set for yourself or as a thoughtful baby shower or birthday gift for a special friend, and you can be sure to win their appreciation! The items come in an eco-friendly nice package, all-set for you to give! We always make it a rule from working only with selected manufacturers and suppliers, which can guarantee to meet your rigorous standards of quality. If by some reason you’re not 100% satisfied with your purchase, our money back policy has got you covered! These adorable cups were especially designed as a helping hand to parents when it comes to teaching their little ones how to drink. With a funny, colorful design and animal printing, a practical material which is easy to clean and perfectly safe, this 3-piece drinking cup set will definitely stimulate the kids’ appetite and keep them constantly interested and entertained! Original gift for baby shower. ADD TO CART NOW and you’ll fall in love instantly with these practical drinking cups for babies and toddlers! These cups are so cute so they will definitely like them. These cups are super cute. I love the opportunity to win a set. My kids would love them. So cute, would definitely love to win them! Very cute! I love that they're made of bamboo fiber. These cups are really cute, they would be perfect for when my grandchildren visit! These cups are too cute! My son would love them so much! Yes. Both my youngest granddaughter and my great grandson would love them. Super cute. Kids will really like these cups. They are due a new set. These are sooo adorable. Would love to win them for our first grandchild's baby shower.